Sprinkle some spice into your Christmas celebrations this year with The Song of India’s festive menu, hamper and takeaways. 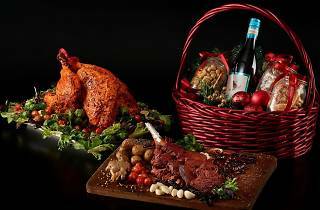 The Michelin-starred Indian restaurant is dishing out a five-course Christmas Celebration Feast ($79) with savoury dishes like tandoori turkey kebab and stuffed turkey roulade. A perfect takeaway option is the Kashmiri Wazwan slow-roasted and smoked baby leg of lamb ($126) that is marinated overnight in yoghurt and mustard, then lovingly pot roasted and grilled. 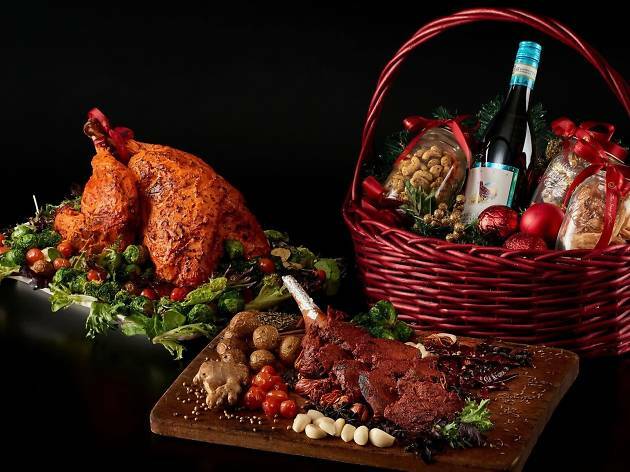 Get the first dibs on their newly launched Christmas Hamper ($248) featuring a whole tandoori turkey stuffed with morel biryani, baked masala puff pastries, spiced Indian nuts, chocolates and a bottle of wine. Advanced order of three days required for festive hamper and takeaways.